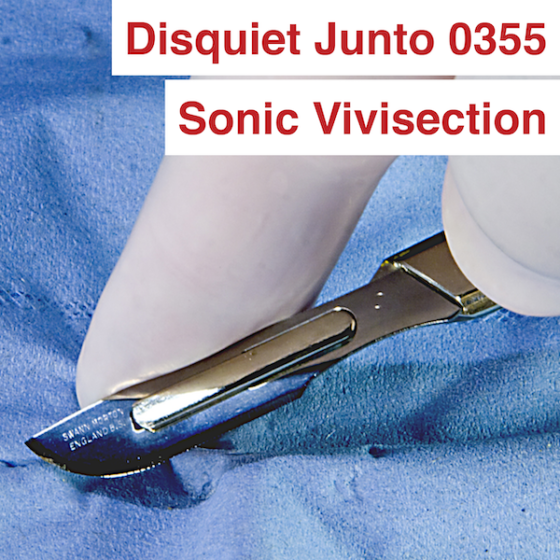 The Assignment: Operate with incisions on a live sound in real time. Deadline: This project’s deadline is Monday, October 22, 2018, at 11:59pm (that is, just before midnight) wherever you are on. It was posted in the morning, California time, on Thursday, October 18, 2018. Step 1: Consider the concept of vivisection, or “the cutting of or operation on a living animal usually for physiological or pathological investigation,” per the Merriam-Webster Dictionary. Step 2: Consider how that term might be applied to sound — for example, enacting cuts into a live sound source in real time. Step 3: Record a short piece of music/sound based on the thoughts that arose upon reflection on Steps 1 and 2 above. Step 1: Include “disquiet0355” (no spaces or quotation marks) in the name of your track. Step 2: If your audio-hosting platform allows for tags, be sure to also include the project tag “disquiet0355” (no spaces or quotation marks). If you’re posting on SoundCloud in particular, this is essential to subsequent location of tracks for the creation a project playlist. Title/Tag: When posting your track, please include “disquiet0355” in the title of the track, and where applicable (on SoundCloud, for example) as a tag.